PLEASE CALL Call / Email Owner if interested !!!!! 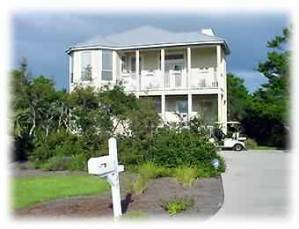 SEA YA LATER - Whites Gulfview Estates, Seacrest Beach, Florida. 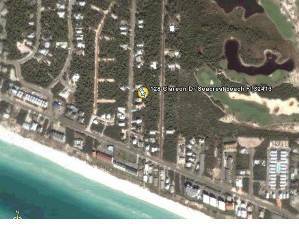 One minute west of Rosemary Beach, five minutes east of Seaside , and 25 minutes east of Destin. Near new Alys Beach . New, two-story, 2400-square-foot home features two separate living rooms, three bedrooms, two and one-half baths, and sleeps eight. First floor has one living room, two bedrooms, and one full bath. 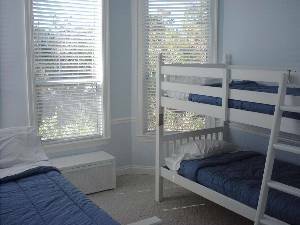 One bedroom has a bunk bed and a trundle bed . The other bedroom has one queen-size bed. The living area is equipped with queen sleeper sofa, 27-inch TV, VCR & DVD, and plenty of seating area. 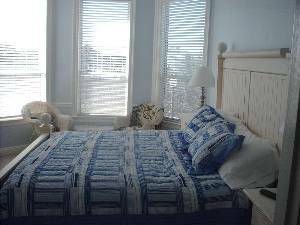 Second floor includes master bedroom with full bath, jacuzzi tub, and separate shower. Living room with 27-inch TV, VCR&DVD , sofa/loveseat, and half bath. Huge kitchen with table for six. The house includes two Pack and Plays, two highchair/booster seats, safety gates and a childproofing kit for our guests' use. Each bedroom includes a 20-inch TV. DSL High Speed internet connection included. 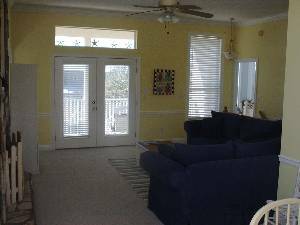 Both levels have large covered decks for viewing. 4 adult bikes and 2 child bikes are included. One-minute walk to our private beach access. GOLF CART is included. 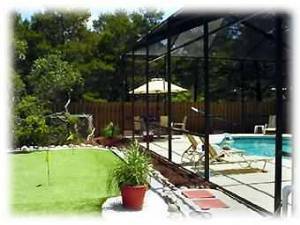 Very large private back yard with screen enclosed heated Caribbean-style swimming pool and a 300 square foot putting green. Outdoor poolside bar, pool area has stereo system wired . 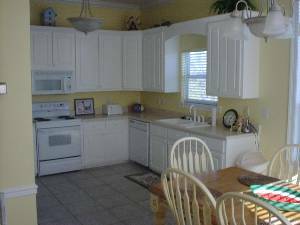 Plenty of great golf courses, shopping, and entertainment are very close by. Please email or call for availability. No smoking inside the home. Private putting and chipping green . 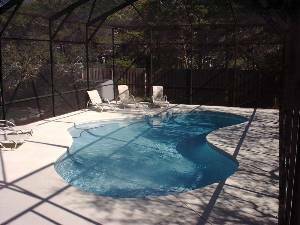 Large screened heated pool . Deposit: $500 refundable reservation/security deposit . Cancellations and Refunds: cancellations less than 30 days before resevation will forfeit deposit .